header per Fan Hub. The FH-10 fan hub allows users to fully populate the case with fans while maintaining clean and efficient cable management. 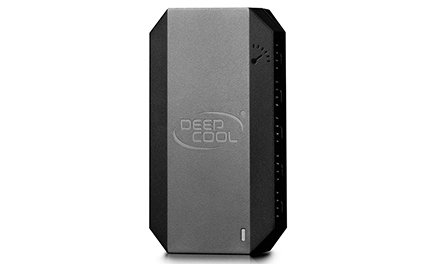 At the same time the blue LED indicator light makes it an attractive choice for cooling performance enthusiasts as well as users seeking no-fuss installation. 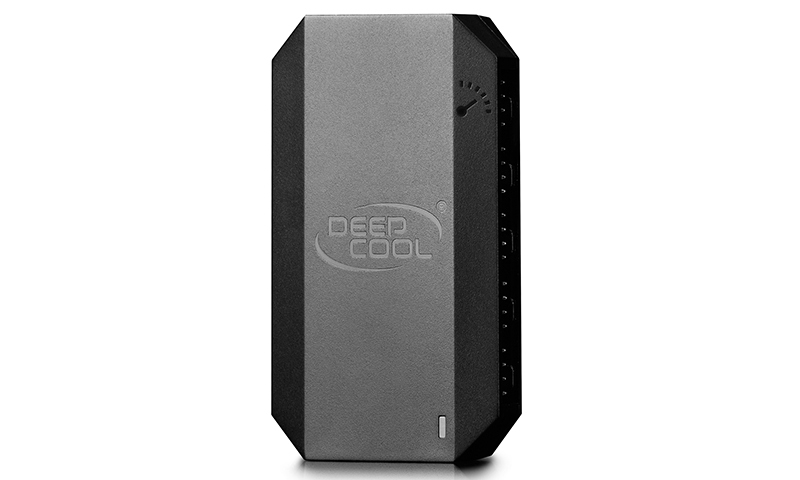 Each port has its own PWM function and the fan speed can be adjusted at the same time, but only the speed of Fan 1 can be identified by the system. The fan hub is easily fixed by the screw and Velcro included, keeping the cables neat and tidy and holding the fan hub firmly in place.